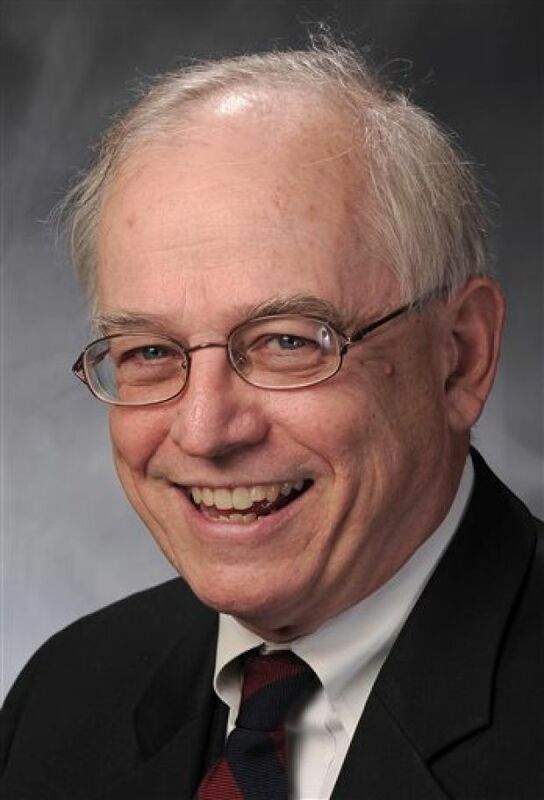 The recent death of Rep. Rory Ellinger on April 9, 2014, at age 72, came as a surprise and disappointment. The cause of death was an aggressive liver cancer. Rep. Ellinger was a Democrat representing University City. I lost touch with him since working with him and others during the 2010-2011 Missouri legislative session. That year there was a renewed effort to make the State Capitol in Jefferson City more smoke-free. Even though all other state office buildings are required to be smoke-free, smoking legislators, especially senators, consider themselves above such restrictions. After some intensive activity by a number of legislators, including Rep. Ellinger, a House Rules change was approved making a member’s only lounge directly off the House chamber smoke-free. That was considered a small but important victory, since before there had been frequent complaints from smoke-sensitive House members about secondhand smoke migrating from the lounge to the House chamber whenever the door to the lounge was opened. The Honorable Rory Ellinger passed away on Wednesday, April 9, 2014 at the age of 72. Beloved husband for 33 years of Linda Locke; dearest father of Maggie Ellinger-Locke (Eirik Cheverud) and Martin Ellinger (Erin); dear brother of Kathleen and Jim Ellinger. He is also survived by numerous nieces and nephews. Mr. Ellinger was a graduate of the University of Missouri-KC School of Law and the University of Missouri-Columbia Graduate School. He was a practicing attorney in St. Louis, and since 2010 has served as State Representative in the Missouri House of Representatives for University City, Pagedale and Wellston. Ellinger was well-known in Missouri for his commitment to social justice and advocacy on behalf of those without power, including spending years in the civil rights and anti-war movements, founding Legal Services of Northeast Missouri, serving 12 years on the University City School Board, and serving on the founding board of the Missouri Foundation for Health. As a young man he briefly served as a bodyguard for Martin Luther King and was jailed in Selma along with King and many other activists. He also served as president of the Students for a Democratic Society at the University of Missouri-Columbia. He served as Assistant General Counsel of the Missouri Public Service Commission, as press secretary for Lt. Governor Tom Eagleton, and worked for the Missouri Association for Social Welfare on jail reform. He was appointed to state leadership roles by three governors: Jay Nixon, Bob Holden and Mel Carnahan. He received the 2012 Melton Lewis Equal Justice Award from Legal Services of Eastern Missouri and the Legal Distinction Award from the ACLU of Eastern Missouri. He was as dedicated to activism as he was to his family. He loved being a father to Maggie and Martin, coaching their soccer teams (a game he had never played), tutoring the violin (an instrument he never learned), and teaching them to drive (a skill he never fully mastered). He surprised his wife by turning out to be a great traveling partner, camping out in the Sahara, climbing the first ten feet of Mt. Kilimanjaro, and visiting Vietnam, Ukraine and Moldova with close friends. His four major food groups included Hershey bars, fried chicken from dive restaurants, chocolate malts and French toast. He often visited Shannon County, Missouri with a one-man campaign to turn it blue. Ellinger died at home in University City, surrounded by his family. Services: A Service to celebrate his life will be held at the Ethical Society of St. Louis, 9001 Clayton Rd., Richmond Heights, on Saturday, April 12 at 2:00 p.m. In lieu of flowers, memorials appreciated to the Rory Ellinger Scholarship Fund. Please make checks payable to: University City School District, Attention: KatyJane Johnson, 7401 Balson Ave., St. Louis 63130.